After 4 wins and 1 loss, Tokyo Crusaders end up as one of three teams on 20 points in this year’s incredibly competitive Shuto League. 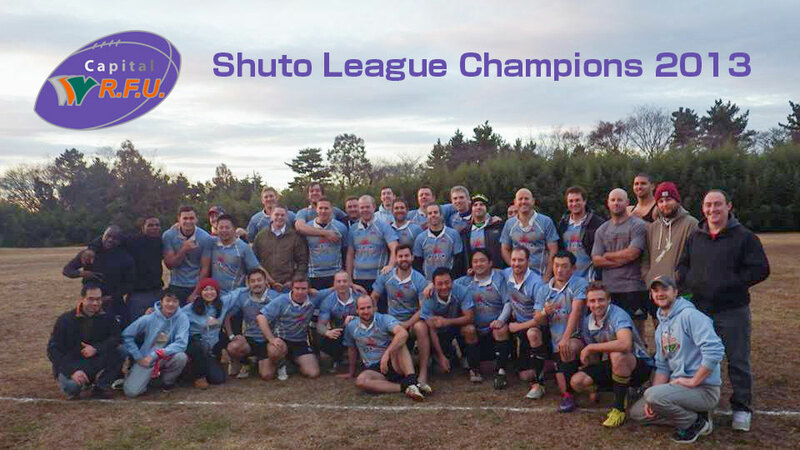 Outscoring the runner up (Olivers RFC) by 14 points, Tokyo Crusaders win the Shuto Championship 2013! As Champions, Tokyo Crusaders will represent the Shuto League in the upcoming Cup-winners’ Cup that kicks off on February 16, 2014. We will play the champion teams from six other amateur leagues, and last year’s Cup-winners’ Cup Champion Komaba WWM RFC. Later in the season we will participate in the Tokyo Cup, starting out in second division after a few years absence from that tournament. Got my boots and am ready to go!